Today’s article is Roving Reporter’s review of his recent trip to Madrid which he had booked for a friend’s significant birthday. What should have been a lovely treat rapidly descended into something over a farce. 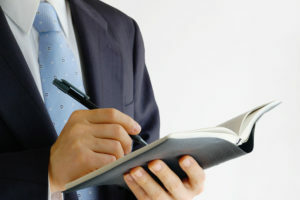 Over to Roving Reporter….. 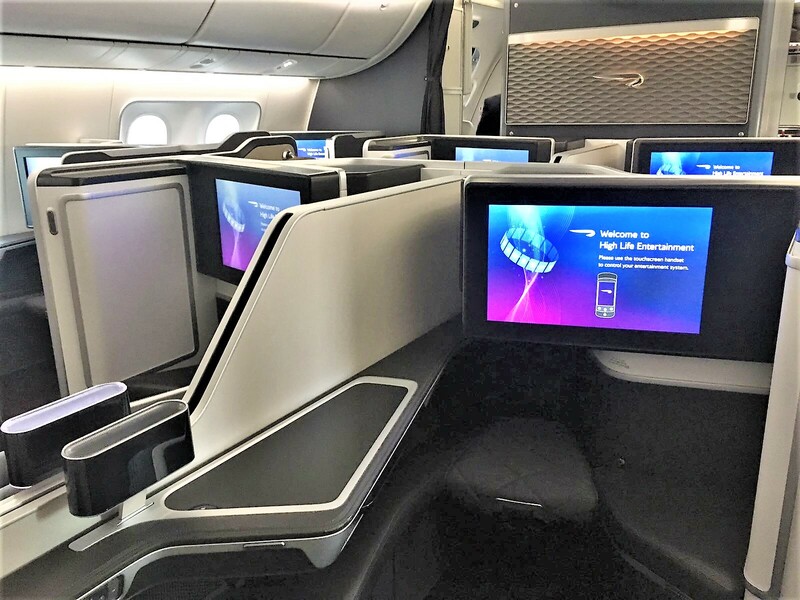 I had booked this flight specifically as part of a British Airways Holidays deal because of the improved Club World seats. 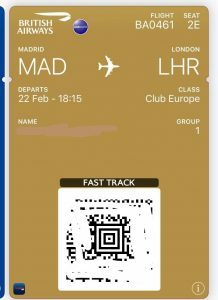 BA use long-haul aircraft on the Madrid route on certain flights meaning you can get Club World seats on Club Europe tickets. 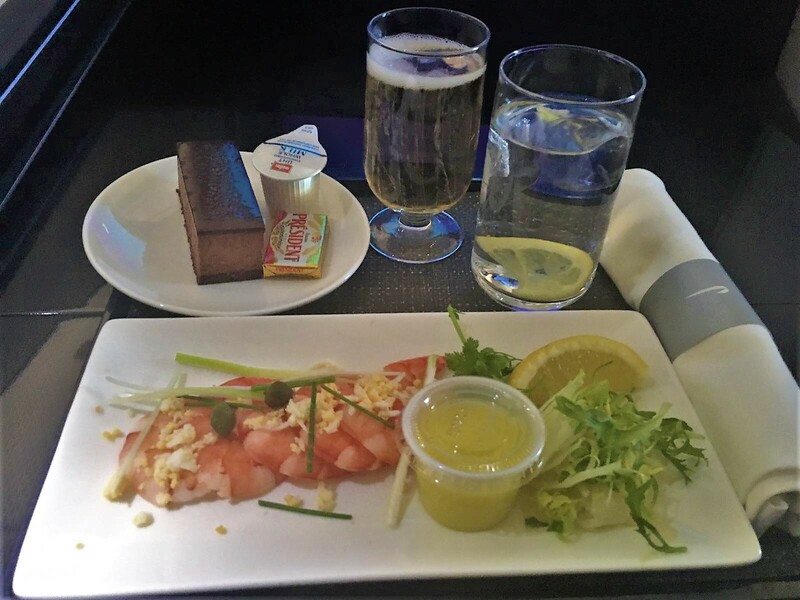 Even though it is only a fairly short flight it was a special occasion so I thought it was worth the extra to fly in Club Europe especially on a very new aircraft. This was the return flight from Madrid with outbound being on a B777. 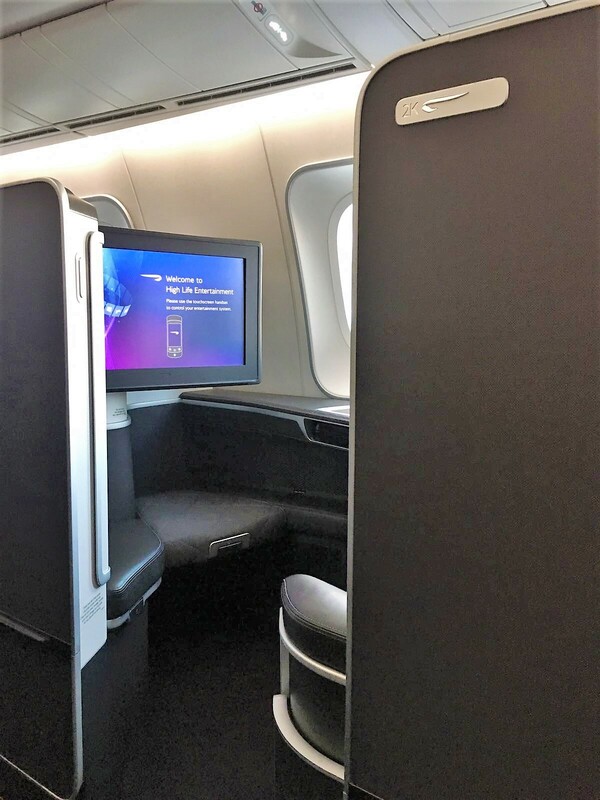 As a BA Executive Club Gold cardholder, I had selected seats 6A/C which is the first row of the mini Club World cabin. I was perfectly happy with these. However, I knew that if the flight was overbooked that there may be a chance that at online check-in they may offer the First seats for selection but still with standard Club Europe service of course. I was thrilled when I checked in to see that rows 1 and 2 were indeed available. Though I prefer a window seat (having flown in 2A from KUL last year) I was travelling with a friend so I chose 2E/F. I saved my electronic boarding pass to my phone feeling very pleased with myself. We arrived at the gate to total chaos. They were boarding Group 4 from one gate and Group 1-3 from another as the aircraft had 2 air bridges attached. Woe betide a group 1 person trying to gain entry via the Group 4 queue as of course there were no signs at all! . People in Group 1-3 queue were not moving so I had to ask lots of people what group they were in and then apologise for being in Group 1 and push though. This is fine for a hard nosed person like me but it made my friend feel very uncomfortable. When we arrived at the scanner we got ‘the beep’. Often this is good news as it can mean you have been upgraded. Not this time though – we were told “Your seat has been changed to 20D/F!” This is a World Traveller Plus seat. However, the gate agent insisted that this was still business class. I disagreed. I was not given a new boarding pass but I knew this was a WTP seat! We arrived on board and explained the dilemma to the Customer Service Manager. She was confused as she was expecting 5 passengers to be in the First Cabin as per her iPad briefing from the outbound flight. Sadly we were not alone in our predicament. Unusually for me I was quite pleasant, the other people affected were in full rant mode! I have to say she handled it beautifully and I even gave her a BA Golden ticket for her efforts. Personally, I would have been perfectly happy with our original Club World seats. The CSM told us to sit in the First Cabin (as per our 5 boarding passes) whilst she got an update from the Ground Staff. Prior to departure she briefed us that the First Cabin was ‘not’ to be used but as we were in residence we were more than welcome to remain there but that she would get to the bottom of it. All the 5 passengers were BA Gold or on same booking as a Gold cardholder. 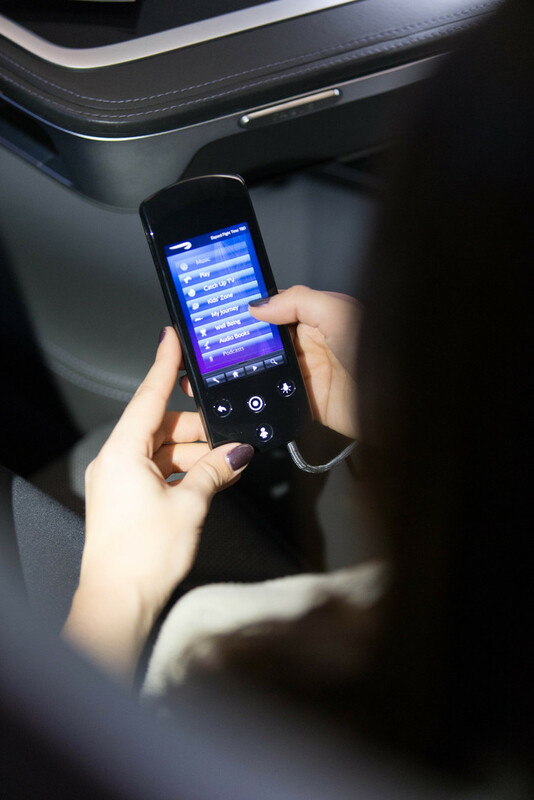 We all reselected First Class seats at online check-in. At the gate all 5 seats were re-assigned. As the BA system considers the World Traveller Plus seat to be an improvement to the usual Club Europe seat we were then moved there (as apparently all the other Club World seats were taken). The odd thing is that they arguably “penalised” their most loyal customers over other customers. More worryingly is that 5 people got on board with incorrect boarding passes. Even more interestingly, there WERE empty Club World seats on the flight! Moral: be content with your original perfectly wonderful Club World seat on a Club Europe segment! 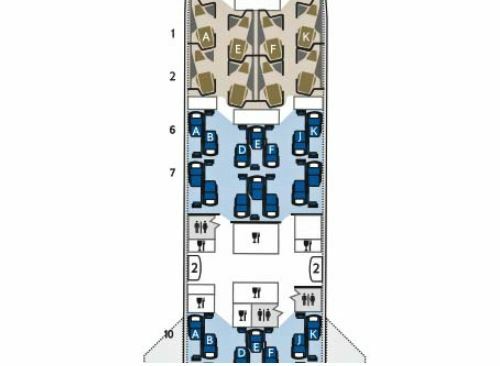 The B787-9 has a much smaller First cabin than BA’s other aircraft with just 8 seats in a 1-2-1 layout rather than 14 seats. My seat, 2E, was large and comfortable. Seats have a 72″ pitch and 22″ width versus the narrower Club World seat at 20″. I found the First seat super comfortable but felt sub-par to my recent very wide Singapore A350 business seat. Interestingly I much preferred the middle seats to the window, even with the dividing partition raised it felt much more roomy. The seat featured all the usual BA First equipment with a multi-country electrical socket and 2 USB ports. There was plenty of storage with a deep compartment by the footwell, your own wardrobe with a hanger and a small vanity compartment with a mirror. Obviously, on a long haul flight, you would get full bedding with a duvet and mattress topper too. There was a large TV screen which was 23″ and had a new rather snazzy touchscreen controller. The food seemed miserly to me on a 1h55m flight compared with the ‘long route’ meal which has 3 courses with a proper main meal. If you want to see what meal you would get on your route, have a read of my Guide to Club Europe Catering. I paid £1300 for 2 people including flights and 3 nights at the 5* Gran Melia Palacio de los Duques in Madrid (review coming soon). 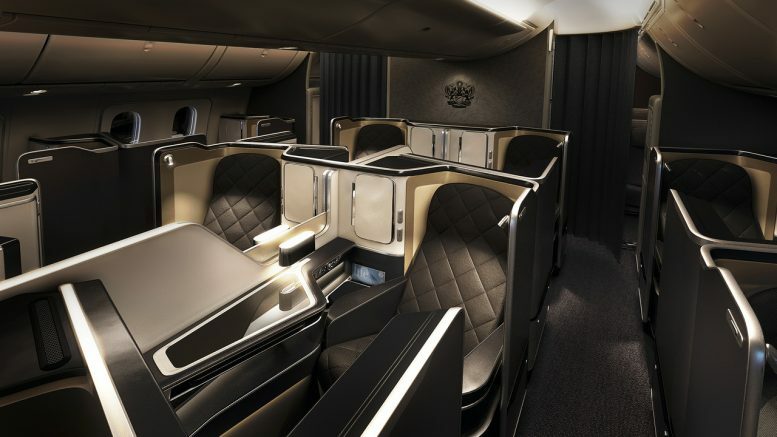 Reader Question: One way First on BA and best aircraft types? 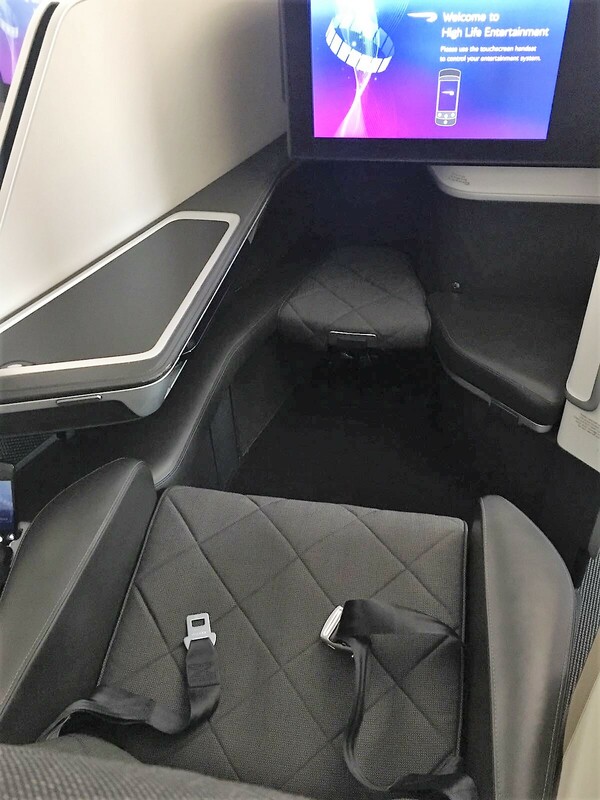 4 Comments on "British Airways B787-9 First seat & Club Europe review"
Its the Boeing 787-9, with the B787 the dropped the 00 at the end, hence why it’s the B787-8/B787-9/B787-10. Pedantic I know, but it’s a bug bear of mine. Thanks for the correction. I always just assumed that all Boeing aircraft were 100, 200 etc but now I know! Yet another review citing poor travel experience with BA! When will BA get the message??? They are due to be changing Club Europe catering this year possibly as soon as April. Not sure about how they will tackle downgrading people and not realising it’s a downgrade though! At least the CSM managed to rescue things somewhat.